The 67th edition of THE FDH LOUNGE on SportsTalkNetwork.com (Wednesdays, 7-10 PM EDT) will be one of the most star-studded editions we have seen yet! After The Opening Statements of The FDH Lounge Dignitaries and This Week In The FDH Lounge, we welcome in one of the truly great “baseball men” of modern times: Marty Appel. His stint as a ghostwriter for Thurman Munson’s autobiography counts as one of his 17 books; his recent biography of Munson counts as another. 30 years since Munson left this earth after the fateful plane crash, Appel will be on to discuss his legacy. Then, in the second half of Hour One, we bring in a rare in-studio guest – and what a guest this is! Tom Wilson, the second-generation Ziggy cartoonist, will be at STN worldwide headquarters to discuss his incredible book ZIG-ZAGGING: LOVING MADLY, LOSING BADLY … HOW ZIGGY SAVED MY LIFE. It will be tremendous to have him on the show to talk about one of the most legendary cartoon characters of all time. We start Hour Two with THE FANTASYDRAFTHELP.COM INSIDER and our look at some features that will be involved in the release on Saturday, August 1 of our FANTASY FOOTBALL DRAFTOLOGY 2009 guide. We’ll examine the most undervalued and overvalued players for this year, as well as the projected breakthroughs and top rookies. Here’s a coincidence: Tom Wilson is a Cincinnati guy (albeit a former Cleveland guy – hey, he’s traveled the Paul Brown path!) and we’ve got another of the River City’s most prominent citizens up next: Dhani Jones! This guy is a dual threat and we don’t mean that he’s adding offensive snaps to his linebacker duties; this Bengal linebacker is also a media superstar! His Dhani Tackles the Globe series on the Travel Channel showcases slivers of other cultures in a completely unique manner and his multimedia contributions to the ESPN media family stand out as well. As he concludes one season of work and prepares for another, we will catch up with this very interesting man. And how’s this for timely? We are happy to bring in Craig Nelson, author of ROCKET MEN: THE EPIC STORY OF THE FIRST MEN ON THE MOON right on the heels of the 40th anniversary of the moon landing. His book is a meticulous recounting of the Apollo 11 mission and EVERYTHING that led up to it. He’ll be breaking it down for us on the program as well. Rounding out the evening’s guest lineup is a gentleman from the nation’s premier movie review program, AT THE MOVIES. Ben Lyons, who is also a movie critic for E! Entertainment Television, will be joining us to talk about the hottest movies of the summer. We're introducing a new feature in The FDH Lounge, and it comes at a great time since we're at the deadest point on the sports calendar: Dream Sporting Events. Quite simply, each feature will discuss an idea whose time has come -- a big-time sporting event that could happen if only the Powers That Be in sports, television and marketing could appreciate the fact that big money could be rolling in with proper execution. We led off the series with a true, best-of-the-best motorsports championship miniseries previously. This installment concerns a way to do what many think is truly impossible: make soccer really relevant in America. The premise is that FIFA would decide to make real penetration of the American soccer market its “Manhattan Project” as a means to expand its reach in a true global sense by tapping into the world’s most dominant consumer market. FIFA does have it within its reach to apply the pressure needed on the world’s soccer circuits and tournaments to be able to make this league happen. In order to have any chance of making soccer important in America, the best players in the world will have to participate, because Americans just won't embrace a game missing all but a small handful of the world's best stars -- and that's where the FIFA leverage comes in. They would need to arrange for clubs the world over to make their stars available for play in this league; after all, the money could take care of all concerned parties -- the leagues and their stars. The best time on the schedule for such a new league, if it were to avoid conflicts with other existing leagues, would be June/July. However, the obvious problem with this would be an overlap with the game's biggest event, the World Cup, every four years starting with 2010 -- and an overlap with the European championships and tournaments involving other leagues every four years starting with 2012. So we start from an admittedly controversial jumping-off point: a league that could only play its games every two years, starting in 2011. Hopefully, this condition would help to build anticipation -- because it would, after all, involve the best of the best in the world. A draft would be held with all top soccer stars in FIFA-certified leagues being eligible, certainly to great anticipation at the outset. For these purposes, we selected the six cities most likely to be able to support big-time soccer in the form of sold-out football stadiums. They are: Los Angeles, Seattle, Chicago, Houston, Washington D.C. and New York. Each team would play everyone else one time, with an additional game being played in order to create a six-game regular season. From there, the playoffs would consist of semifinals based on regular-season records and a league championship. Given that even the MLS has been able to achieve national television in the form of ESPN2, it can be regarded as almost certain that this new league would achieve even higher visibility -- likely through a combination of ABC/ESPN outlets. With such a small sample of games involving the world's best players, the league would be very likely to see each and every one of its games regarded as a big event. The amount of money generated from the gate and from television would likely be enough to help FIFA achieve what so many have thought impossible: making soccer important in the United States. The night has arrived at long last! This week, THE FDH LOUNGE (Wednesdays, 7-10 PM EDT on SportsTalkNetwork.com) welcomes the second batch of inductees into the most prestigious institution in the world: The FDH Pantheon. We'll spend the entire show breaking down these categories in this order, with various FDH Lounge Dignitaries popping in at various times to discuss their votes and to break any ties that have arisen in the different categories. We'll also preview some categories for the third version of The Pantheon (which will be early in 2010 and not a full year away as this event is just too much fun to wait that long to reproduce again). "Best Mashup" will probably be a category and we have two early candidates here and here. We lead off this series with a true world motorsports championship: call it New & Improved IROC. In theory, the IROC series was a dream come true, with top open-wheel and stock car drivers squaring off in the same vehicles, leaving only a battle of skills to determine the winners. The reality fell far short of the promise, however, as the heads of different motorsports federations didn't want to do anything to diminish the importance of their own big races. Instead of promoting the events with the equivalent of a warm hug, a limp-fish handshake was substituted. Also, with the races being held in the summertime, the great Formula 1 drivers were on the outside looking in because there was no way logistically for them to participate. Currently, there is an event held after all of the major racing circuits are done for the year. It is called the Race of Champions. However, drivers are competing for their respective countries rather than purely head-to-head and the event does not register at all in America. If a tree falls in the forest, DOT DOT DOT. We propose a return for IROC, but in grand fashion: a two-race series after the seasons are completed for the main circuits. A treaty would have be finalized between NASCAR, Formula 1 and the IRL for participation among drivers and teams, as well as the division of spoils with the economic pie at stake. Additionally, the Race of Champions would have to be bumped back a bit, but there would still be time to run it during the "offseason." Think about this: with the NFL Network moving the traditional Saturday December NFL games to prime time, Saturday afternoons in that month are now wide open. An event such as this one, properly marketed, could pull huge numbers for ESPN or any of the over-the-air networks. These races would have extreme importance to the host cities and in many cases would receive even more local acclaim than the regular-season races being hosted. Regrettably, under this calendar, it would be impossible to race at Indianapolis, but being able to bring over the F1 racers after their season must take precedence. The driver pool would participate of the following: the top 20 drivers from the season's NASCAR standings, the top 15 drivers from the IRL standings and the top 10 drivers from the F1 standings. Additionally, Internet voting would determine the last six spots, with two per circuit being allocated. Driver points would be allocated according to the NASCAR points system, with an additional 15 points awarded to the pole-sitter of the two races. In the extremely unlikely event that two drivers would tie for first place at the end of the two races, the winner would be the one with the best cumulative finishes between the races. FDH Lounge Dignitary Nate Noy raised an excellent question about driver participation. The respective circuits could make it mandatory, but would be able to throw in plenty of sweeteners (sponsor caysh, families being put up at posh resorts, glamorous parties). Ultimately, there is a tremendous amount of money waiting to be realized with a concept such as this one. The different associations involved would have to put aside their own petty, sectarian interests and realize that in the end, giving true motorsports fans what they want would be quite lucrative -- and thus, it would not have to be its own reward. Everybody wins! One of the only areas in life where I differ with my good friend and FDH Lounge colleague Tony Mazur is on the subject of Rush Limbaugh. While we have the same politics (by and large), he is a fan of El Rushbo and I am not. I see him as an extremely ineffective communicator of public policy ideas outside the echo chamber that already agrees with him. The kind words he has spoken about Big Business testify to his ineptitude. Contrary to what he has asserted, it is small business that is the engine of this country's economy, not those he relates to so well in Big Business. Unfortunately, many conservatives and so-called conservatives fall into this same trap: Big Business, they feel, must be defended on general principle because to do otherwise is to surrender to liberal economic theory. This is garbage. Paleocons know better. Pat Buchanan was writing as far back as the freaking 1970s on the need for the right to take on Big Business from time to time both on matters of genuine principle as well as political reality. He knew what those who mindlessly demonize Big Business and those who mindlessly worship it still do not to this day: that it is not inherently very good or bad, but rather, a force of nature that can only be counted on to perpetuate its own self-interest. Had more on the right heeded him, then there wouldn't be so many "OMG, how could Big Business sell out to Obama!!!" stories dealing with the health care lobby trying to cut a deal with the Democrats and Wal-Mart's sellout to Obama on the subject of national health care. OF COURSE Big Business is going to collude with the power-grabbing central planners in D.C. on as many matters as possible! It sees which way the political winds are blowing. More power has been centralized in Washington over the past year than at any time since the Great Depression. Plus, Big Business has a vested interest in keeping growing small businesses from joining their ranks. Using Big Government to raise barriers to competition is not at all unthinkable; ideology has no place in the marble boardrooms of the nation's economic elites. Seeing so many self-proclaimed conservatives sulking like wounded puppies at the sight of their heroes in the Fortune 500 groveling to Obama would be hilarious if it weren't so pathetic. Eventually -- perhaps sooner rather than later if recent polls are any indication -- this nation is going to look for responsible alternatives to Obama's collectivist vision. If the right can't leave behind George W. Bush's vision of crony capitalism once and for all, it will cede that ground to a brand-new and potentially very irresponsible resistance movement. The FDH assessment of All-Star rosters was harsh on the assessment of some pretty dumb Red Sox selections. SpastikMooss over at Outside the Boxscore begs to differ, so courtesy of our association with that site under the banner of The 21st Century Media Alliance, we present the counter-argument [NOTE: This was written prior to the All-Star Game]. Jason Bay- Bay has 55 Runs, 20 HR, and an AL leading 72 RBI with the break coming up. He and Torii Hunter have easily been the best AL outfielders so far this year, and he deserves his spot. Josh Beckett- Josh Beckett isn't the best pitcher in the AL, but he's up there, and he definitely belongs on this team. The only starting pitcher that might be deserving of a nod over Beckett that didn't get one is Jered Weaver, and his stats are very similar, so that's a wash.
Tim Wakefield- Many look at this selection as an example of wins (11) overvalued in lieu of performance (4.31 ERA). I see a baseball lifer who has never made the All-Star Game despite some great seasons, all thanks to his one signature pitch. In the name of Robert Alan Dickey, Wake deserves an All Star Game at least once in his career. Let this be his one. Jonathan Papelbon- While Paps is certainly having an off year, he's still tied for second in saves and has a respectable ERA. Like it or not, the American League All-Star bullpen will probably feature Paps, Rivera, and Nathan every single year until one of the guys is hurt or retires. So sorry, Joakim Soria (who was injured too long), J.P Howell (who doesn't get enough saves) and David Aardsma (who is a former Red Sox with sparkling peripheral stats this year), but that's the way it is. And for those who would accuse me of homerism here, Rivera is A) an amazing closer and B) his ERA is up this year (2.43), so he too isn't having the best of years. But he belongs in the game too. Kevin Youkilis- Eight AL 1B have at least 45 R, 14 HR, and 45 RBI at the halfway mark. I don't see anyone other than Morneau and Texiera standing out above the rest, and so Youk isn't the worst pick of all for third-string first basemen. There's some argument for Carlos Pena (but he's hitting .231) and Paul Konerko (who is having a revilatization year but isn't quite as good as most of the big boppers). Debatable here...but Youk isn't a bad pick. Dustin Pedroia- I still don't see this pick as a big deal, as the guy was last year's MVP (whether you agreed with it or not), and it's hard to beat that name recognition. While Aaron Hill did make the game, there's no question he should have been its starter, and not a bench player. And after that, I count Ian Kinsler, Chone Figgins, Robinson Cano, Brian Roberts, and Ben Zobrist (who made the game) as all better 2B options than Pedroia this year. Unlike Youk, who sort of fits amongst that upper echelon, Pedroia has been a bit behind the pace in this year's first half, and I would have kept him off the ballot, but hey, that's me. Also, Pedroia's pregnant wife is in the hospital anyways, so he may not play. So then Kinsler would make it, one less Red Sox would be in the game, and maybe you'd all be a bit happier. Maybe? So there you have it. Say what you will, but I think (most of) these guys deserve their spot in the All Star Game. Especially Wake. Our good buddy Russ Cohen over at Sportsology put together a ranking of the best pitchers ever to win 300 games. Courtesy of our association through The 21st Century Media Alliance, we bring you that excellent column. How Old Were They When They Won 300 Games and How Do I Rank Them All-Time? I decided to look at the list of 300-game winners, and from that list, I wanted to decide for myself: who were still-vibrant pitchers when they won their 300th, how old they were and who was on their last legs holding on to get to that number. To me, there’s a difference. Sure, either way, the player makes it to the Hall of Fame, but from this list, I still think we should figure out who were the most prolific winners were in the history of the game. Sure, some players not on this list have a higher winning percentage, but if they don’t have 300 wins, they aren't a part of this conversation. I rounded up their ages because counting the days to who was the youngest isn’t that relevant here. 1) Walter Johnson – 32 – The “Big Train” was pretty young, although players that reached 300 before him were even younger! To me, his best stat is the fact that he hit over 200 batters in his day. I’d say he owned the plate and he had two 20-win seasons after his 300th. 2) Cy Young – 34 - His 511 wins seem to be a curse; fans seem to dismiss it. He had a 30-win season after his 300th game, but he did hang on a bit at the end of his career. In 7354 innings, he gave up just 7092 hits and 1217 walks. His lifetime WHIP is 1.13 and he deserves a lot of credit for that no matter the era. 3) Christy Mathewson – 31 – The originator of the fade-away pitch or the modern day cutter. He had a 25-win season after reaching 300. His lifetime ERA is 2.13. This WW1 war hero died at the age of 45 due to tuberculosis because of poison gas he ingested during the war. 4) Warren Spahn – 41 – The lefty with the most wins in the history of the game still had 18 and 23-win seasons after the milestone. He pitched 5243 innings lifetime, WOW! 5) Greg Maddux – 38 – He was in the midst of a 16-win season at the time of the milestone and still had two double-digit win seasons after that. Known for his control, he walked just 999 in his career. 6) Tom Seaver – 40 – “Tom Terrific” was in the midst of a 16-win season and still threw over 238 innings the year he got to the magic number. He beat the Yankees at “The House that Ruth Built” for his 300th, and after that, his knee failed him and he knew when to hang it up. 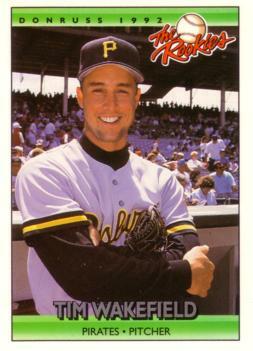 He still threw 176 innings in that last season, which would be very acceptable today. 7) Grover Cleveland Alexander – 37 – For his standards, he was going downhill fast. He did rebound with 21 and 16-win seasons near the end, but in those days, it wasn’t that great. 8) Nolan Ryan – 43 – “The Express” had a double-digit win effort during his milestone season. The no-hitters and fun starts that he had will make some think he should be higher, but from 1985-87 he was pretty average (30-36) and that works against him here. 9) Steve Carlton – 38 – “Lefty” had a decent 15-win milestone season where he threw 283 innings and the season after he won 13 before it got ugly. Yes, he hung on too long but not to get the milestone. 10) Lefty Grove – 41 – He had an amazing .789 winning percentage before the milestone and he was just better than a .500 pitcher afterwards. He ended up with 300-even, but I cut him some slack because he was 7-7 in that final season. 11) Roger Clemens – 40 – This guy has a cloud of suspicion following him, so while I can’t take away his accomplishments, all I can do is say that he was a great for a long time and he amassed a lot of wins. 12) Eddie Plank – 39 – Got his milestone during a fine season in the Federal League. The year after, he still won 16 games in the AL, and that gives him more credibility than some of the others below him on the list. 13) Early Wynn – 43 – OK, he was a fabulous pitcher who was fading, but he was still 8-2 when he was 41. He knew he was done and he walked away after the win and you have to give him some credit for that. 14) Randy Johnson – 45 – “The Big Unit” did win double-digits last season so why isn’t he ahead of Wynn? His age is the answer. He has hung on way too long. He is currently on the DL as I write this. 15) Tom Glavine – 41 – He pitched a solid game in Wrigley Field to get his 300th win, but lets face it, he was done at that point. His 13-8 record was misleading because he was abysmal in the second half of the season, including a seven-run first inning (he retired just one batter) against the Marlins to help his team fall out of the playoff race. 16) Gaylord Perry – 41 – The master of the “spitball” did get double-digit wins during that milestone season and once more before he hung up his spikes. He was a master of psychology (he may have only loaded up a few times in his career) and did hang around too long, but was effective throwing 205 innings when he was 41. 17) Don Sutton – 41 – He was always suspected for scuffing and that’s why he is so low on this list. 18) Phil Niekro – 46 – “Knucksie” just kept hanging around. He won 16-games in his milestone season, but if he wasn’t on the Yankees, I’m not sure he would have gotten to this milestone. The rest of the list I am lumping together because their careers were played at a time when the rules and the game didn’t really resemble the modern-day game. They were great athletes and I don’t want to diminish that. ^ Pud Galvin – 31 – He once started 76 games and completed 72 of them. ^ Tim Keefe – 33 – Once pitched 619 innings in one season. ^ John Clarkson – 30 – Has the Cubs team record of 53 wins. ^ Charley Radbourn – 36 – He had one 59-win season. ^ Mickey Welch – 30 – He was 44-11 one year. ^ Kid Nichols – 30 – He had seven years of 30 or more wins. For the most part, we keep our fantasy content on our fantasy website and fantasy blog and keep this site for content on all subjects. It allows our readers to find specific content more easily that way. However, it has come to our attention that because our new fantasy sports newsletter is published on the older Blogger platform that our readers may be limited in their ability to subscribe to it. There does not appear to be a way to have content on the FantasyDrafthelp.com blog forwarded to an aggregate news reader -- however, we know that we have that ability here. So we will link to that newsletter each week right here when it is published. Along with our fantasy football coverage, both of the last two editions of the newsletter contain information unveiling our 2009-10 UQB numbers for fantasy hoops, so we are providing the links together. Here is the most recent edition of the newsletter (with position-by-position breakdowns) and here is the previous one (with the Top 50 overall). After the results of "Donald Trump's blockbuster trade" (I feel like I just lost 50 brain cells typing that even though I put it in sarcastic quote marks), here is an updated version of what looks from here to be the best possible card for WrestleMania 26. With the company now putting themselves in position to have to fill domes for every 'Mania in order to make their nut for the rest of the year (since everyone has been waiting in vain for the next wrestling boom for years now), the company cannot afford to throw together as many matches for next spring at University of Phoenix Stadium as they did for this past year. WrestleMania 25 sells itself to an extent; WrestleMania 26 will not. As always, these matches are a balance of the best possible card along with the realistic internal politics of the company. RANDY ORTON (WWE CHAMPION) vs. JOHN CENA: Reportedly, the company has been eyeballing a matchup of the man slated to be the franchise face of the company over the next decade against his counterpart on the heel side. This is not going to be an easy sell in terms of coming off like a big-money match, not least of which because the two men are facing off (along with HHH) at Night of Champions this month and these three men headlined WrestleMania 24 in another title match. Beyond the very near term, the WWE has to find a way to keep these two men separated between now and the 'Mania buildup period, which will not be easy because it will mean sequestering one of them outside the title picture for almost half a year. IF they can do this and IF Orton can regain his heat from this past winter/spring and IF Cena can regain enough edge to his character to the point where fans are clamoring for him to stop Orton, this could be the big money match that the powers-that-be see it as on paper. Short of achieving those three objectives, though, it will flop and perhaps mightily. CM PUNK (WORLD CHAMPION) vs. SHAWN MICHAELS: HBK doesn't like to work Tuesday nights because of his church schedule, but he could probably squeeze in a few in the 'Mania season (plus shooting some scenes on Monday nights that could be presented as "backstage from Smackdown"). Punk can become a franchise heel on Smackdown, but will still be in need of validation in that spot. Michaels has demonstrated time and time again his ability to get the most out of talented people that he works with and the "rub" from a win over him could really help, as it did for Cena at 'Mania 23. Plus, the company needs to work in a heel victory every once in awhile in these main and co-main event matches just to keep some element of unpredictability. The easiest way to interject Michaels into this match would be to have him bum-rush an Elimination Chamber match at No Way Out (similar to what Edge did last year), but have that match be for the #1 contender spot for the World Championship and the title match at WrestleMania. VLADIMIR KOZLOV (ECW CHAMPION) vs. THE UNDERTAKER: This match is perhaps the most out of left field, but it would work in a way. Assuming that the company doesn't plug in another top star against Undertaker (Chris Jericho would work nicely if Edge doesn't return from injury in time), Kozlov works well as a big and tough young guy who would be credible but is probably not a future cornerstone who needs to be protected. Assuming that the company pulls the trigger on him as ECW Champion and he has the belt going into WrestleMania, he could start mouthing off about how he's run out of challenges and how he wants to beat the Undertaker at WrestleMania. With the Undertaker never having been ECW Champion (he's never fought for the belt, but why let that detail get in the way of the hype? ), that adds another layer to the "behemoth trying to end the streak" storyline. How to get the ECW Title off of Undertaker in an orderly fashion post-'Mania when he won't be staying on the roster is potentially a problem, but if he gets "drafted back to Smackdown," then the Lashley precedent of '07 would be enough to strip him of the title because it is the only title on the roster specifically named for a brand. MVP and EVAN BOURNE (UNIFIED WORLD TAG TEAM CHAMPIONS) vs. HART DYNASTY -- LUMBERJACK MATCH: Realistically, I'd like to see Legacy in this match, but Ted Dibiase looks certain to be turned face before then. With that being the case, this needs to be the match where the Hart Dynasty is elevated to the tag champs spot and I choose MVP and Bourne because I don't have them slotted into any other important matches and I feel like at this point of their careers, they need to have a high-profile match on this stage (either or both could easily fit into Money In The Bank, but since I'm picking another wrestler to win that, I'd rather put them into this match). Also, Bourne never really got a chance to play out a feud with these two before they were all abruptly yanked from ECW and there in some history and potential chemistry there. The lumberjack element could come into play since the match is cross-brand, with the loyalties of various wrestlers coming into play: will they side with their fellow faces/heels or with the wrestlers on their same brand? Plus, it gets everyone a 'Mania paycheck and interjects at least a touch of intrigue (at least theoretically) to everyone's storylines heading into the big card. MONEY IN THE BANK -- JOHN MORRISON vs. THE MIZ vs. CODY RHODES vs. TED DIBIASE vs. JACK SWAGGER vs. REY MISTERIO vs. CHRISTIAN vs. MATT HARDY: If Jeff Hardy is still on the roster, he should be substituted in for Christian or perhaps put in with Kofi Kingston in the first-ever 10-man version of the match. This match has the potential to go beyond the spotfests of past years because of the personal issues that could be involved (Miz/Morrison, Legacy, Hardys). Announcers could play up the questions about whether the various wrestlers involved risk being too caught up with any grudges to focus on the stakes involved. In the end, Morrison is the wrestler most worthy right now of the elevation that comes with the "magic suitcase," and a series of matches next year against Punk for the World Title (with the roles reversed from their very good ECW Title feud back in '07) could be pretty hot. MISS WRESTLEMANIA BATTLE ROYAL: While this year's match was basically a throwaway that the promoters devoted very little thought to, it turns out that this is the best way to shoehorn all of the Divas on the roster into one segment. Given the subtle comedic skills that Beth Phoenix flashed with Santino/Santina over the past year, a win here could be a good launching pad to go after Maryse in the form of a face turn. HHH vs. BATISTA: With the aforementioned six obligatory matches out of the way, there is room for about three or four grudge matches or dream matches. Assuming that Batista returns from injury with enough time to at least briefly wrap up the Orton feud, a turn on HHH would be a good way to even out the face/heel imbalance on Raw. Before Batista's injury, some subtle seeds of discomfort between the two were planted this past spring. All that would be necessary would be the sense on Batista's part that HHH is holding him back as he was back in 2005. From a political point of view in terms of selling the match to HHH, the fact that he would be able to "get back a victory" from Batista after putting him over clean three PPVs in a row five years ago might be sufficient. CHRIS JERICHO vs. EDGE: While Edge may not make it back with much time to spare, there is currently reason to hope that he could be in the ring by the start of April and this could even be his "big comeback match." The seeds for this one have already been planted and watered on WWE television over the past few weeks and once Edge is cleared to come back, the storyline could pick up from there. A Jericho win could prolong the feud into summer, giving Edge the chance down the line for a blowoff win that would catapult him into the World Title picture as a monster face for the first time on Smackdown. JERRY LAWLER & THE GREAT KHALI vs. THE BIG SHOW & KANE -- NO DISQUALIFICATION: If Vince McMahon would really like to get "The King" into a WrestleMania match at some point, there aren't many ways to really make it work assuming that the match is supposed to provide a feel-good moment without damaging any useful heels in the process. The backstory for this one could be manufactured relatively easily, with both of these monster heels in situations where they end up bullying Lawler, only to have Khali come to the rescue. The "No-DQ" provision allows for Lawler to win cheaply by dipping into his own Memphis heel bag of tricks, maybe by throwing fire or using the proverbial foreign object. Lawler's potential for working comedy into a match could keep it from becoming too plodding given the size of everyone involved (although in fairness, Kane is one of the most talented big men ever and Big Show has become very, very good as well). The 65th edition of THE FDH LOUNGE on SportsTalkNetwork.com (Wednesdays, 7-10 PM EDT) revolves around two great themes: interviews with top sportscasters and entertaining analysis from our FDH Lounge Dignitaries. At the top of Hour One and the top of Hour Three we have two of today's top broadcasters coming into The Lounge to give an overview of the present sports scene. Chip Caray and Kenny Albert will be occupying those spots, respectively, and it will be a pleasure to add them to our roster of impressive guests. ^ The Opening Statements of The FDH Lounge Dignitaries. ^ This Week in The FDH Lounge. ^ The long-awaited return of our "Wimp or Pimp" segment: tonight, we settle the notion of whether it is ever justified for a fan to "go into exile" and root for his team to lose and suffer in the short term so as to get rid of a horrible front office or coaching regime. ^ MLB at the All-Star break: What are some of the most consequential stories of the year so far and what looms on the horizon in the second half? ^ "Dream" sporting events: How to actually make soccer relevant (and popular) in this country with some help from FIFA and a "best of the best" in motorsports that could be of vast interest. We preview forthcoming FDH Lounge columns about sports happenings that make too much sense not to exist any longer. ^ A preview of next week's second annual FDH Lounge Pantheon episode: The FDH Academy of Arts and Sciences is casting ballots right now to salute the best of the best in 16 different categories. After we speak with Kenny Albert, we move into a belated version of THE FANTASYDRAFTHELP.COM INSIDER with a look at the fantasy football players who achieved areas of notable separation in 2008 and a preview of our "Ultimate Stat" for fantasy hoops in 2009-10. THE GOON SQUAD is on hiatus tonight and at least next week as our Pantheon broadcast will consume the entire three hours, but fear not, hockey fans, we will be bringing back that "show within a show" in the next few weeks as we progress through the deadest part of the calendar for that sport. The night that has been labeled the "Super Bowl of MMA" has arrived as UFC 100 emanates live on pay-per-view from Mandalay Bay in Las Vegas. The UFC has certainly come a long, long way. As always, AOL Fanhouse is on top of the UFC proceedings with liveblogging and full coverage here. Both ESPN and Fox Sports have excellent previews posted. While the Brock Lesnar/Frank Mir heavyweight title unification match (BTW, just how goofy is the idea of an "interim champion?") is the appropriate headliner for such a huge card, the undercard is also stronger than usual, including a title defense by welterweight champion (and contender for the "best pound-for-pound fighter in the world") Georges St. Pierre against the man who might be his toughest current foe, Thiago Alves. GSP is "the man" in that division until proven otherwise, but he will have to work perhaps like never before to hang on tonight. Lesnar is trying to avenge his loss to Mir in his UFC debut in February '08. Since then, he shocked MMA purists by capturing one claim to the heavyweight title and has shown that while he was best known for being a WWE champion, he also shouldn't have to remind anyone that he was an NCAA grappling champ before that. His game is more refined now, but Mir has already proven that he can exploit flaws in the physically superior yet significantly less experienced fighter. While Lesnar is the favorite, opinions on the fight vary wildly based on anticipated action. Those who expect Mir to win believe that Lesnar will commit a fatal flaw, perhaps on the ground as he was almost a year and a half ago. Those who expect Lesnar to come out on top believe that he will just steamroll Mir killdozer-style as he did to Randy Couture last November when he took the title. The guess here is that Lesnar has learned enough to avoid a repeat of his awful entrance into the UFC world. For a man who floundered professionally between the time he left WWE in March 2004 and the Couture win 4 1/2 years later, he should have all the incentive in the world in terms of not wanting to go back to no-man's-land in the eyes of the public. Look for the ref to stop the fight in Lesnar's favor in the third round. Even before The Opening Statements of The Dignitaries of The FDH Lounge and This Week in The FDH Lounge -- both of which will be sandwiched in between segments in the first two hours -- we lead off with Queens Chronicle sportswriter Lloyd Carroll. He covers New York-area sports and entertainment, as well as the business of sports (more on that just slightly later) and has also covered the wonderful world of professional wrestling (definitely more on that later!). This man can definitely talk, so he will fit in quite well with The FDH Lounge! As for the business of sports? No publication covers it more extensively than Sports Business Journal -- except for sister publication Sports Business Daily -- and we're very happy to welcome in the executive editor of both, Abe Madkour, for a look at the biggest sports business stories in the first half of 2009. At the top of Hour Two, we bring in one of the most legendary names in the history of professional wrestling for an-oh-so-rare out-of-character interview, George "The Animal" Steele. Jim Myers created one of the most enduring and memorable characters of all time in the form of a crazed, (and later in his career, monosyllabic) terror while living the existence of an educator and highly successful sports coach in real life. This man is an American original to be sure, just the kind of guest we love, and we will talk about all facets of his life and that of his famous alter ego. How's this for old school? George Steele wrestling for the WWWF Championship in 1973 against Pedro Morales! In the second half of Hour Two, we are happy to welcome in the irrepressible Adam Buckman, TV Howl and TV Week columnist. He has covered the Michael Jackson story in close detail and will be on to talk about that and a myriad of other entertainment and TV stories. His writing always has a great amount of entertainment value and he will certainly be an interesting guest for us. In Hour Three, THE FANTASYDRAFTHELP.COM INSIDER starts off the proceedings with a look at fantasy football in 2009 position-by-position according to our "ultimate stat," the Ultimate Quantitative Baseline. 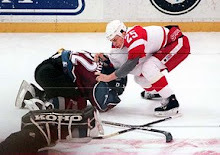 Then, we wrap up as always with THE GOON SQUAD and our look at last week's start of NHL free agency and the retirement announcement of the great Joe Sakic. Courtesy of our good pal Russ Cohen/Sportsology/The 21st Century Media Alliance, here is an excellent rundown of how Chris Pronger's career has come full circle with his relocation to Philadelphia. Philadelphia - - The Philadelphia Flyers introduced their lastest star-studded acquisition, Chris Pronger, today at a press conference that had a lot of talk about next season but an equal amount of talk about the Hartford Whalers -- where he, GM Paul Holmgren and coach John Stevens all spent some time. The Hartford Whalers drafted Pronger with the second overall pick in 1993 and he was a "can’t miss" prospect. Alexandre Daigle was drafted ahead of him, but that’s Ottawa’s cross to bear. Pronger had size and strength (6-6, 210) and he joined a team that had Stevens on it and Holmgren was the team’s coach. Even then, Holmgren knew the 18-year-old blueliner was going to be something special. Pronger remembers his days in Hartford and that first season there. He wasn’t alone; Stevens was a part of that group as well. “He was one of my partners,” he laughed, talking about Stevens being paired with him on the blueline. So now fast forward 16 years later and Holmgren still feels like he reeled in a big fish. Last season at the age of 34, he played 82 games and the rearguard has remained relatively healthy over the course of his career, which means he could be in line to sign a multi-year deal. My partner at FDH, our Senior Editor Jason Jones, has a romantic streak a mile wide. He readily confesses to wanting to believe that he has seen the greatest in a given sport with his own eyes. Along with other information informing his thought processes, that keeps him from agreeing with me (for example) that Oscar Robertson was better than Michael Jordan and in fact the greatest hoops player of all time. I argued the case for the Big O last year during our first annual Pantheon voting, along with Walter Johnson, Willie Mays, Bobby Orr, Jim Brown and other greats who I never saw in my own time. This year's balloting should be just as great and will occur on our July 22 episode of THE FDH LOUNGE (this concludes our gratuitous plug!). I mention the fact that I don't share Jason's romantic view on the subject as a means of establishing just how unlikely my next take is: after today, I am convinced that Roger Federer is the greatest tennis player (male or female) of all time. Again, I am always greatly suspicious of naming a present player as the greatest ever, and I've always noted that Federer never really had a singular great rival (except Rafa Nadal in the past year -- prior to that, it was predictable that Roger would beat him everywhere but on the clay) -- and ironically, one of the reasons for that was the man he toppled today en route to his record-breaking 15th Grand Slam title. Andy Roddick captured his first, and only, Grand Slam at the 2003 US Open, the very next major after Federer's first ever at Wimbledon two months earlier. Roddick's underachievement for most of the last six years, along with Nadal's aforementioned slow development into an elite all-around force, has deprived tennis fans of seeing Federer have to surmount a legitimate rival for most of his time on top. ^ Tying five other male players as the only ones to capture the career Grand Slam. ^ 20 Grand Slam finals (a record). ^ Semifinals or better in 21 consecutive Grand Slam events (a record, the second player on the list only managed 10 in a row!). ^ Once held the #1 world ranking for 237 consecutive weeks (a record). His accomplishments are unparalleled and as his career continued to develop in the last year with his rebounds from his crushing Wimbledon and Australian Open finals losses, it has become clear that his greatness would have shone through in any era against any foes. Congratulations, Roger Federer. To paraphrase Rickey Henderson, today you are the greatest of all time. Every year, the fans generally shame themselves in at least a few areas in the All-Star voting – even if it happens less often than it did when I was a kid. The managers always shame themselves as well, as do others contributing to the roster shaping. This year was no exception in both areas. I would honestly like to know what kind of mouth-breathers thought it would be a good idea to tarnish their All-Star ballots with the likes of Dustin Pedroia? Or Josh Hamilton (who I have on one of my roto teams, so I’m not being a hater here)? Or David Wright – who could be a reserve but hasn’t shown nearly the power necessary (thanks in part to his new home park, but that’s part of the game) to be starting? Or the wrong Molina altogether at catcher in the NL? Also, what in the name of high school football are Josh Beckett, Brian Fuentes, TIM FREAKING MEDIOCRE WAKEFIELD, Jason Marquis and Ryan Howard doing there? Now, taking into consideration the insipid “every team must be represented” gaga, I would place Andrew Bailey on the AL team at the expense of Jered Weaver and Zack Duke on the NL team at the expense of Francisco Cordero. In light of the fact that enough jerks thought it would be a good idea to elect a slappy like Pedroia and a player who was hurt for most of the first half in Hamilton, I would drop Crawford and Bay from the AL squad to make room for them. And in light of the fact that enough clowns voted in Yadier Molina in the NL, I would drop David Wright to make room for him. As is generally the case, good players will end up sitting home unfairly even with the roster expansion to 33 this year and only one in each league will be able to capture the remaining roster spot that is put up for Internet balloting as one final publicity stunt. The MLB All-Star Game is always a great event – just not as great as it could be if those who helped build the rosters took their responsibilities seriously. I would stress that the points raised in this column are purely circumstantial, because there is little about this situation that can yet be ascertained beyond what is already on the public record. But sometimes circumstantial evidence can lead us in the right direction and I'm always up for strapping on the tinfoil hat, so let's examine why exactly there is more than meets the eye to the Columbus Blue Jackets arena situation. In the aftermath of the team's first-ever (extremely short-lived) Stanley Cup Playoffs run, the organization went public with claims of $80 million in losses over the past decade due to the fact that the arena is privately-owned. With the city, county and state being decimated financially to the point where THERE IS NO MORE MONEY FOR LARGE-SCALE PET PROJECTS, the franchise begged for public funds with an all-but-expressed "Or Else!" Oh, and they want to be able to sell naming rights to the facility once the public has, in some form or another, purchased it. Now, the team's side of the argument is not completely without merit, as the side of the story from this highly-sympathetic blog argues -- at least in the context of the real world. While public financing of sports facilities is asinine in every way, those of us who love sports have learned to make peace with the notion that "it's just the way that it is." So the plea that the Blue Jackets just want the same hand-in-the-public-pockets deal that everyone else has is true, if not appealing on any level. But the real issue here is HOW the team raised the issue. It was clumsy and ham-handed, blatantly opportunistic in the still-glowing aftermath of the team's first playoff campaign. As a lifelong resident of the Greater Cleveland area (give or take my college years and a DC internship), I observed long ago that there is a Cleveland Way and a Columbus Way. ^ The Cleveland Way involves piggish graft on a massive public scale, with zero regard as to what the citizenry thinks. Think obese, swaggering politicians selling off patronage jobs for large paper bags jammed with cash. Think Art Modell clumsily watching his various money-making schemes with the Browns going up in smoke one after another before belching out a point of view so offensive to the public that it sealed his fate in Northeast Ohio. In Cleveland, it's a 24-7 train wreck of greedy, short-sighted business leaders (think the bozos who drove National City Bank into the ground with the mortgage meltdown) and government officials without an inclination to fight the Boss Tweed machinations that have dominated the scene forever. ^ The Columbus Way involves smooth backroom deal-making at all costs. While smoke-filled rooms no longer literally exist in Ohio thanks to the health nuts, they live on figuratively in the state capital, where even avowed enemies can find common ground behind closed doors thanks to the lubricants of social common ground and the vision of potential money to be made. In Columbus, it's a 24-7 parade of quietly "getting things done." So when Blue Jacket ownership casts aside the CBus model for the shabbier one embraced by C-Town, head-scratching should ensue. Now, Gary Bettman has successfully blocked the Phoenix Coyotes from moving to Hamilton, and if ever a team could justify a relocation based on the bottom line, it would be the 'Yotes. So no moves anywhere can be deemed to be on the near horizon. But franchise relocations aren't formulated in a day. Edifices have to be burned to the ground and the ashes urinated upon thoroughly. In this instance, the public had to be shaken from their pleased demeanor in the aftermath of the team's best season ever. Well, if indeed that was the goal, mission accomplished. Once alienation begins to set in, anything is possible. In light of the botched-or-was-it-botched-really? rollout of the team's "plan for public support," it is no longer unthinkable that the franchise could relocate once Bettman's "nobody moves ever for any reason" dictate falls apart down the road as it inevitably will. And frankly, it's not like public support for the team is unshakably deep in the first place; Columbus will always be first and foremost an Ohio State football town and the primary motivation for seeking this team in the first place was that the notion of remaining the nation's biggest city without a Big Four franchise was sticking in the town craw. That's not the firmest of reasons to want to hang onto an organization once times get tough, as they certainly have financially for both the organization and the region. So again, all of this evidence is circumstantial. It proves nothing. But nothing in life or business ever happens by accident and the abandonment of "The Columbus Way" for "The Cleveland Way" on the part of the Blue Jackets organization means something. What does it mean exactly? Stay tuned. When does a 50-game suspension not equal a 50-game suspension? When it applies to everyone's favorite clown, Manny Ramirez. He returned to major league action yesterday, the operative phrase being "major league," for he was allowed to play minor league ball recently in preparation for his return. Why? So that he would be fully ready to return at the end of the "suspension." To do otherwise, it has been opined, would be unfair to the team that is already missing his services for lo these past 50 games. Correct me if I am wrong, but this team turned a blind eye to the fact that they were signing a steroid abuser. Oh, sure, they didn't have any proof that he was ("shocked, shocked that there is gambling going on here! "), just like San Francisco had no idea about Bonds, the Yanks were clueless about Clemens and the Cubs were in the dark about Sosa. Riiiiiiiiight. For years now, teams have been turning a willing blind eye to the issue of roids and HGH because "everyone does it." As sick as it is, there is a certain rough logic to it because it seems quite likely that the vast majority of players over the past two decades were shoveling all forms of poison into their bodies in a Faustian bargain for better performance. But don't try to have it both ways. Go ahead and sign likely 'roiders if you must and justify it however you need to. But when they get caught and you're going to lose them for a period of time, try not to go all emo teenage girl with your "OMG so unfairz to not have Manny like 100% from his first day back, so PO'd!!!!!" take. Sack up, take it like a man, and dispatch Manny to the minors at the end of his suspension for whatever "getting back in game shape" reps he needs. Manny should not have been swinging a bat in a competitive game until yesterday. The fact that he was delivers further shame to baseball and proves that they still haven't come to grips with rolling back the 'roid era in the game. On behalf of everyone at FDH, we wish you a happy and blessed Independence Day. We urge you to take some time today to remember everyone who helped make the day possible, from the patriots who really began the founding of our country 233 years ago today to the military heroes past and present who allowed us to keep our freedoms. To help you enjoy, here is a fireworks show from the National Mall in D.C. Courtesy of our good friends at Sportsology, fellow members of The 21st Century Media Alliance, here's a look at the beginning of the NHL free agency period. The moves will be in the tidbits section and the commentary will appear below. For info on the Scott Gomez trade go to www.rangergreats.com. 1) Vancouver retained the Sedins $6.1 million for five years each. This wasn't a surprise. 2) Calgary signed Jay Bouwmeester (5-yr, around $6.7 mil a year), good for them, Florida didn't sign Jordan Leopold. They did a horrible job of losing as asset! 3) Tampa signs defenseman Mattias Ohlund (a seven-year deal?? with a $3.75 million dollar cap hit, says Bob McKenzie). He is there to provide some experience and he will surely help Victor Hedman as well. 4) The Leafs have signed enforcer Colton Orr ($4-yr, $4-mil). He can fight and do little else. Why did the Leafs target him first? 5) Devils re-sign D Andy Greene. Johnny Oduya as well to shore up the blueline. 6) Florida has re-signed F David Booth to a 6-yr, $25.5 million dollar deal. Booth is a hard worker who is now a second-line talent! 7) Colorado signs G Craig Anderson to a 2-yr, $3.6 million dollar deal. Anderson carried Florida late last season and will be the #1 goalie. 8) CBC is reporting Marian Hossa has signed with the Hawks (12-years, $5.2 million per season)! Their power play will be amazing and he would join Kane on the top line which should help his 5-on-5 play. 9) Matt Walker has signed a four-year deal for $1.47 million per year with Tampa to further bolster their defense. 10) Goaltender Ty Conklin has signed a $2-yr, $2.6 million dollar deal. He will miss the Winter Classic this year having played in every outdoor game, even the Heritage Classic. 11) Islanders sign netminder Dwayne Roloson to a 2-yr deal worth $5 million dollars. Who is the #1 goaltender for 2009? 12) Tomas Kopecky signs with Chicago. Depth. 13) Sabres sign D Steve Montador. This is a depth move. 14) Mike Knuble in Washington for 2-yr, $2.8 million per season. He gives the Caps a presence in front of the net and on the power play. 15) Rangers sign Donald Brashear. He has more ability than Colton Orr. 16) Scott Niedermayer re-signs, 1-yr, $6 mil plus bonuses in Anaheim. 17) Brian Boucher is on his way back to the Flyers. He will make a terrific backup/mentor to Ray Emery. 18) Defenseman Jaroslav Spacek to Montreal. He will help revive the Habs power play. 19) Nikolai Khabibulin to Edmonton. They have a Stanley Cup-contending goaltender to go along with an up-and-coming team. 20) Erik Cole re-signs with Carolina. He has always been a good fit there. 21) Scott Clemmensen has gone to Florida. He will be a good tandem goaltender along with Tomas Vokoun. 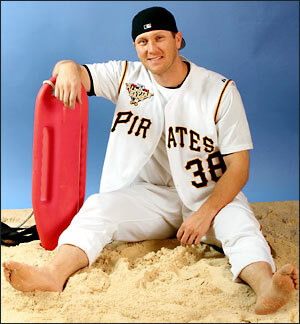 23) Michael Rupp signs with Pittsburgh. He can fill a role. 24) Ian Laperriere goes to Philadelphia. He gives the Flyers a player who create chances with his toughness. 25) Mike Cammalleri signs with the Habs for 5-yr, $30 million dollars. 26) Mike Komisarek signed with the Leafs. He will be the perfect compliment to Luke Schenn or vice versa. 27) Rangers sign Marian Gaborik to a 5-yr deal. He will make $7.5 million a deal. Maybe they should have paid him by the game. 28) Brian Gionta is heading to Montreal. He will team up again with Scott Gomez no doubt. 29) Freddie Sjostrom signs with Calgary. He is a terrific penalty killer. 30) John Madden goes to the Hawks. He's a gifted penalty-killer and a solid defensive player when it's 5-on-5. 31) Nik Antropov has signed with Atlanta, 4-yr, $16 million. Antropov will add to their power play and give them a nice second-line presence. 32) Devils sign Ilkka Pikkarainen. Who? A winger who never had more than 24 points in the "A" with Albany. A project for sure. He has toughness. 33) Florida signs D Jordan Leopold. Leopold has some offensive talent that can now be utilized in Florida. 34) Carolina re-signs Chad LaRose. LaRose has shown that he has second-line offensive talent. 35) The Kings have signed D Rob Scuderi. He will be able to lead many of the young blueliners that the Kings have on the roster. 36) The Canucks sign Mikael Samuelsson. He will help their power play and give them a winning attitude in the locker room. 37) The Rangers sign Tyler Arnason to a two-way contract. He should add to the Wolfpack roster. 38) Martin Havlat has signed with Minnesota. He will give them some of the offense that was lost when Marian Gaborik left. 39) Ruslan Fedotenko has re-signed with Pittsburgh for one season. The Penguins need as much secondary scoring as they can get. 40) Columbus has re-signed F Rick Nash to an 8-yr, $62.4 million dollar extension. This will ensure Columbus maintains a competitive team in the future. 41) The Kings acquired F Ryan Smyth from the Avs for D Kyle Quincey and D Tom Preissing. This move helps both teams. Smyth gives LA leadership and a captain and the Avs get some much-needed defense to help out their new goaltender. The 2nd Annual FDH Lounge Pantheon balloting will be held in conjunction with our July 22 episode of THE FDH LOUNGE on SportsTalkNetwork.com (usual Wednesday night broadcast time of 7-10 PM EDT). Last July, we introduced the concept of The Pantheon to The Lounge for the first time by conducting a vote among The Dignitaries of The FDH Lounge. This year, we move beyond that designation by throwing open our ballots to the newly-formed FDH Academy of Arts and Sciences. Membership can be granted by any FDH principals, but we are also offering membership -- and the right to have your ballots cast -- merely by friending FDH on Facebook and then sending your ballot to our Facebook email address. That's all it takes! Voters may use ANY criteria they wish to vote for the best of ALL-TIME in all of these categories. We urge anyone who has not already been granted a vote to do so by friending us on Facebook and acquiring the ability to email us your ballot. We look forward to cracking open the ballots in 20 days and making our July 22 program yet another one to remember in The FDH Lounge. The 64th edition of THE FDH LOUNGE on SportsTalkNetwork.com is postponed until next Wednesday (7-10 PM EDT) when we return with another edition of the most eclectic program anywhere in the universe!